A nonprofit organization recently came to us looking for strategic advise on their new marketing automation platform. They decided to invest in marketing automation because they were already running numerous campaigns around their events and fundraising, but felt there was a big opportunity to increase efficiencies and better target their audiences. Efficiency and improved targeting / segmentation are definitely good reasons to make the leap to marketing automation. However, there are certainly some risks as well. 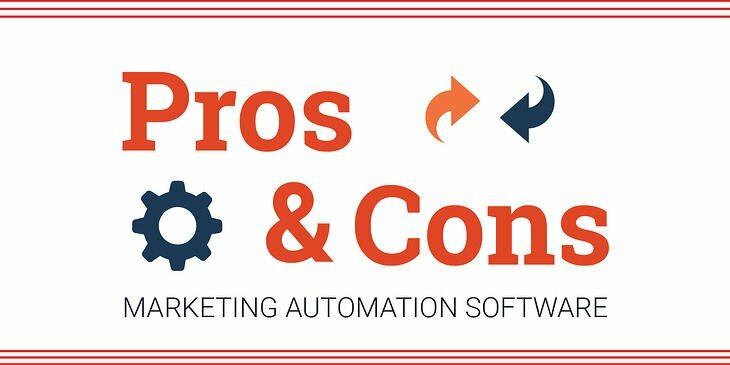 Below I list out the common pros and cons of a nonprofit investing in a marketing automation platform. Let's start with the cons. 1. Ugh, another system to adopt? As a nonprofit you probably already have a donor database or CRM, email software, event system and more. The idea of throwing another system in the mix to log in to sounds daunting. This is a very valid argument. You probably want to assess the state of your other systems and internal priorities first. There is also potential that a system like this could actually replace some of those other ones. To help assess your needs check out, "5 Signs you might be ready for marketing automation." Yes, full on marketing automation systems can run to the tune of $800+ a month, if not more depending on your contact volume. This often eliminates the decision altogether for smaller nonprofit organizations. However, there are less expensive and lightweight systems out there as well. I would highly recommend Mailchimp's automation features. Over the past year or so they have made a big push to enhance their automation functionality with a MUCH lower initial investment in both time and money. Also, for those that use Salesforce's nonprofit offering, you could also consider using Pardot. For a list of starter costs, take a peek at our marketing automation comparison chart. Using any automation system requires training and a certain approach to marketing that your staff may not be used to. In an industry with some turnover, you may find it difficult to both find and keep resources with this type of expertise. That being said, more and more candidates have automation experience than ever before and I don't see it disappearing soon. To help get an unexcited team on board and be sure you all are taking advantage of your investment, read "Adoption tips for cynical team members." The point of automation is that much of your marketing / communications efforts can be automated. What nonprofit doesn't like things to be taken care of without having to exert extra effort? With an upfront investment, you can have email campaigns running in the background or social posts scheduled for a month in advance. 2. Proactive rather than reactive mindset. Because most nonprofits are strapped for time and resources, they are often forced to be more reactive when it comes to communications. Marketing tasks such as email newsletters and direct mail campaigns are conducted the same way each year because there isn't enough time to reinvent the wheel. Of course not all organizations are like this, but automation allows you to be more future focused and set up unique campaigns that are more evergreen than timely. By automating tasks that are often repeated, you free up more time internally to proactively plan out unique campaigns. 3. Personalized content and audience segmentation. With thousands of contacts and emails generated from past fundraising events, subscribers, donations and more, it can be difficult to segment your lists and serve up relevant content. Automation does that for you depending on where a contact converts on your site and how they interact with your content. This is especially valuable for development and fundraising teams so that they can reach out to donors when it matters most, not just with the monthly or quarterly 'ask' mailing. If your nonprofit is considering automation, we'd be happy to chat. We have experience using HubSpot, Pardot, Eloqua, Infusionsoft, ActOn, MailChimp and more.